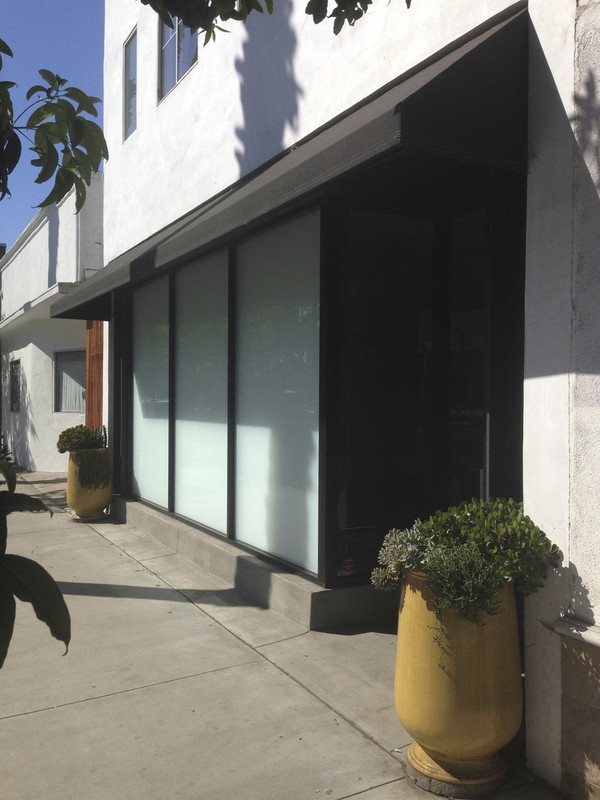 One of the reasons Culver City landed splat on the cool map was the surge in phenomenal art galleries. 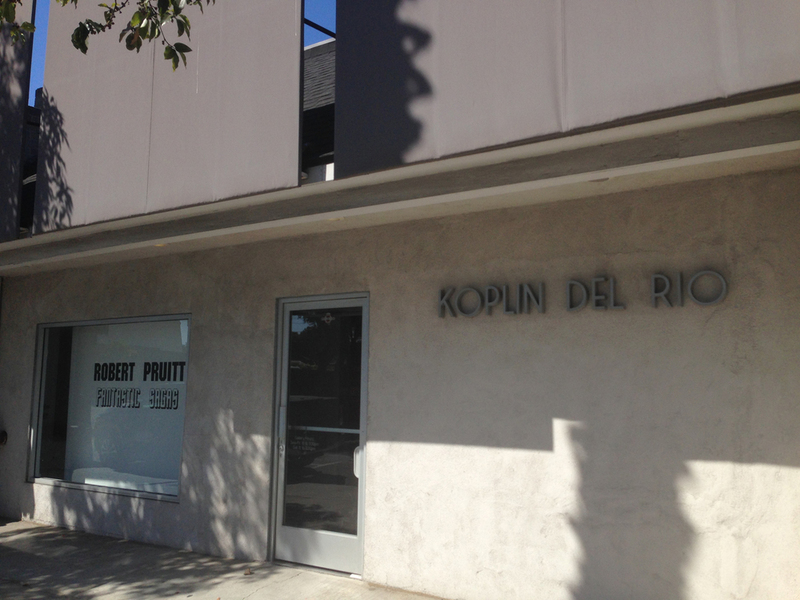 The beautiful old buildings on the east side of Culver City became the go to place to have a gallery. Bow truss ceilings, natural light and tree lined streets have made it mecca for up and coming artists. And now, of course, art collectors. 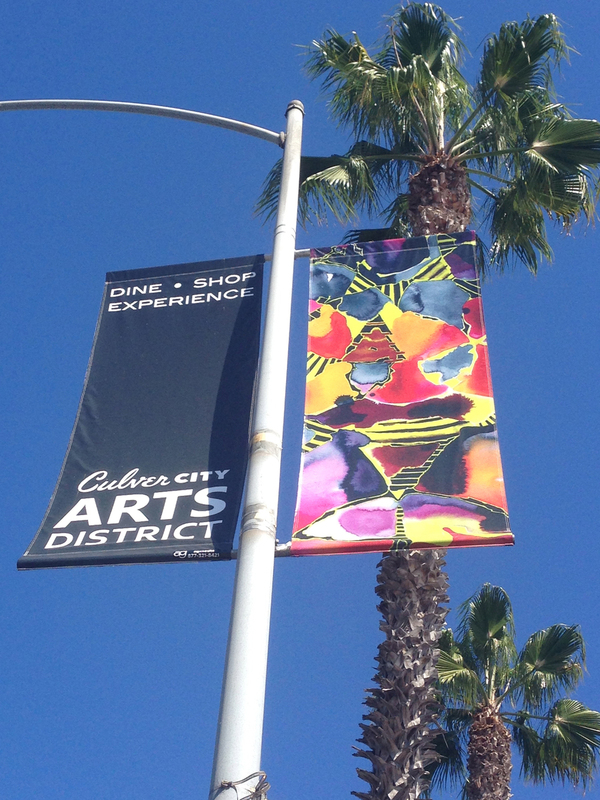 The art district in Culver City has been been called an "artsy enclave" and is full of brick and mortar permanent collectives as well as pop ups. I first remember hearing about this groovy art invasion from an article in Vogue magazine. Honor Fraser, lithe and pedigreed english supermodel, had opened up a gallery on La Cienega just south of Venice Blvd. I remember thinking, "How odd!" But when you see the area and see all of the other fabulous storefronts full of fascinating art, you get it. It's exciting. You feel you are a part of something and you are proud to live in a small town within a large city that is embracing art so enthusiastically. I love supporting local artists, whether its food, clothing or art. It's the old small business thing, I admire it so much. And I am thrilled to have so much choice. Interspersed between these galleries are gorgeous coffee shops - my favorite being Cognoscenti - stores, architects offices, restaurants and a very chic and happening laundromat! The area is also a stones throw from the Helms Bakery compound, which is stunning. You have 4 superb restaurtants there to choose from: Fathers's Office, Lukshon, Bucato & Le Dijonaise as well as the "Let's Be Frank" hot dog truck. Other cafes and restaurants lining Washington Boulevard in between the galleries include Pinches Tacos (delish!) , Brunello Trattoria (at the end near La Cienega), E K Valley Mexican Restaurant, Industry Cafe & Jazz, Muddy Leek (very chic and delicious). 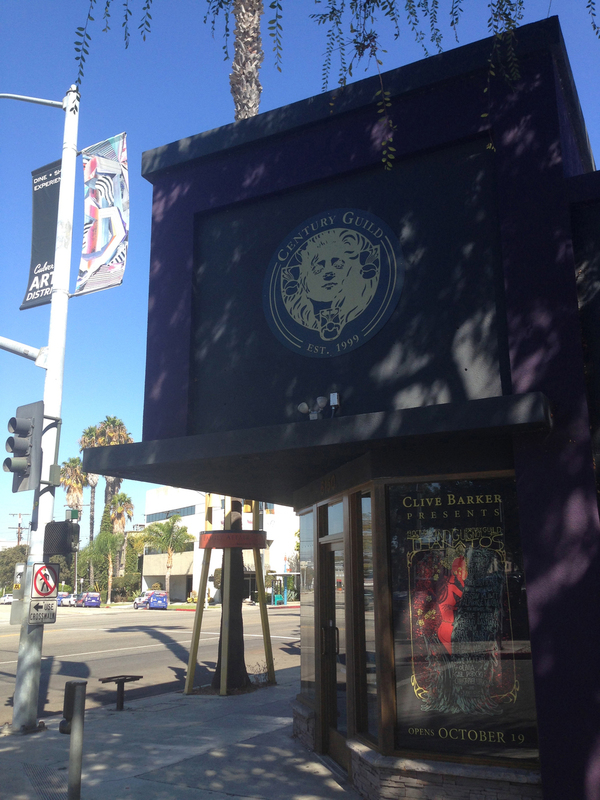 There are at least 38 galleries along and adjacent to Washington Boulevard with many on La Cienega to Venice Boulevard. The variety is astounding. Just a few examples are Koplin del Rio, specializing in vibrant and cultural pieces; contemporary and edgy art at Nye + Brown; eclectic sculptures and introspective photography at Carter & Citizen, as well as art nouveau and stunning antiques from 3 centuries at Century Guild. 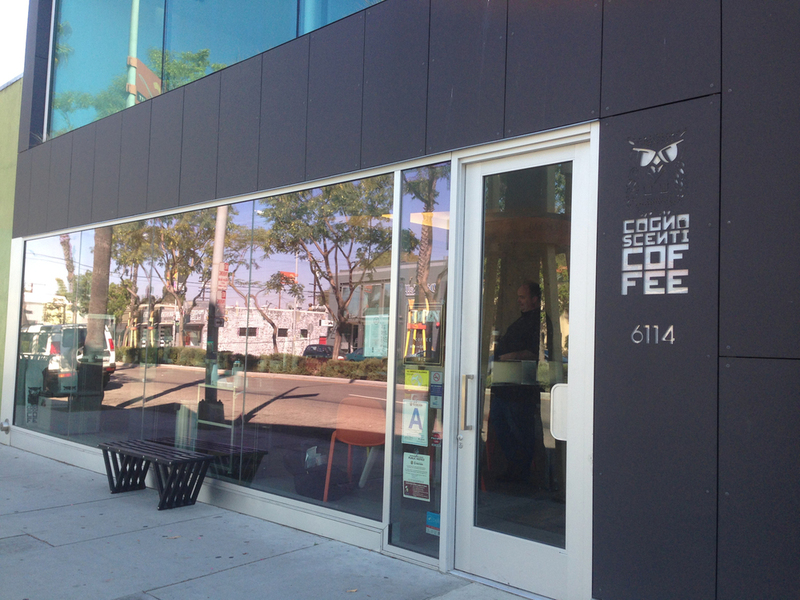 One of the super cool spaces is called Heather Taylor located at 6021 Washington Blvd. It is co-owned by Taylor De Cordoba who loved the idea of having a larger space alone with a backyard to accommodate readings and fashion events. They hold a "culinary-meets-literary series" called Eating our Words. She can incorporate art and community in an exciting space surrounded by style seekers. "My favorite gallery was Thinkspace...There's not doubt - some creative minds and raw talent were in that room." "Bradford Stewart Gallery remains my fave. He has got a modern day Jackson Pollack kind of style"
"My favorite galleries were George Billis Gallery, JK Gallery and Bradford Steward gallery. Others were good, but they didn't have the wow factor." One of the premiere events in the summer is Artwalk when hundreds of well dressed, interesting folk promenade up and down Washington Blvd. cruising in and out of the many eclectic galleries whilst dining at one of the many fab eateries along the way. It's an electric night and, in my mind, the best part is running into friends and neighbors along the way. It was on hold last year due to city cutbacks, but I hear it is in the works to make its great comeback. I sure hope so because it is a very special event and really good for the city. "Art that makes you laugh and smile, free booze, Culver City chills, dozens of galleries in walking distance and live DJ's...this is a save the date no-brainer." "I think it is one to the best ArtWalks I've been to in terms of quantity, walking proximity of galleries, free shuttle service, maps and information website. Music at many of the galleries and tons of been and wine." "It was so much fun to gallery hop to all the galleries because they were so close to each other. I felt like I was going door to door like on Halloween." "I love Culver City. Delicious food, chill people, and now great art walks!" "Went the last couple years and loved it. It's what is an art walk should be (unlike the downtown one)." Posted on July 17, 2013 by Douglas Hunter.